On this National Dog Day, let’s talk about the one subject our dogs probably love most…eating. If you are a new dog owner, you may be confused about how often and how much you should be feeding your new family member. It’s almost as daunting as feeding a new baby. Even if you aren’t new to dog ownership, you still may be confused about feeding, or maybe just unsure you’re doing the right thing. Well, there’s really no black and white answer to how often you should feed your dog. Some people will free feed. Some will feed once a day. Some twice or three times a day. In this post, we’ll talk about how often you should feed your dog. In our next post, we’ll talk about how much you should be feeding them. When it comes to how often you feed your dog, the decision should be based on your dog, and what works best for them and you. If you ask a trusted friend with a dog how often they feed them, they may tell you they put the bowl of food down before they leave for work in the morning and refill it when they get home. Making a bowl of dog food available to your dog all day is called free feeding, and just might not be a good thing for your dog. If your dog likes to eat until you think they may pop, free feeding is not a good option. Remember that dogs were hunters in the wild. When they would hunt and score a meal, they didn’t know when their next meal might come around. So it was okay to eat as much as they could consume. It could be days before they ate again. Dogs in the wild also had to actively hunt for their food. They expended a lot of energy doing that. But it probably doesn’t take too much energy for Buster to walk from his bed to the kitchen to eat his dinner. Free feeding can cause obesity and can be an unhealthy choice for your dog. It should never be considered for a puppy because they will definitely overeat. Remember too that a dog’s appetite is an important barometer for their overall health. If a dog is sick, a change in their appetite may be the first sign. If you free feed, you may not see an obvious change in appetite. When you feed on a schedule, a dog that normally runs to their food to eat but suddenly has no interest in it is telling you something. That’s a sign you don’t want to miss. If you have a dog that you are trying to housebreak, free feeding will make it more difficult because you won’t know when they have to poop. But if they eat on a schedule, they will poop on a schedule, usually 20 to 30 minutes after they eat. So how often should I feed my dog? Most vets will recommend twice a day feeding which works for most adult dogs. Puppies under 6 months of age should eat 3 to 4 times a day. From 6 months to a year, you should feed them at least twice a day. Once they’re a year old, they’re considered an adult and you can feed them one, two or three meals a day. How do you decide how frequent their meals should be when they’re an adult? It’s very common to feed one meal a day. But if your dog is one that could be susceptible to gastric bloat (some large breeds), you may want to consider smaller more frequent meals. I always fed my dogs one meal a day at dinnertime…until I had a dog with a finicky stomach. I realized that if her meals were too big she’d throw up almost immediately after she finished eating. And in the middle of the day she would throw up bile. Part of her problem was that she ate too quickly. So I slowed her down by adding water to her food and getting her a special bowl with obstacles in it. But this didn’t completely resolve the problem. After fiddling around with her food, her bowl and her water consumption, I realized that she just needed to have smaller more frequent meals to keep the acid in check and her stomach less full. I tried 2 meals a day at first, but ultimately she did best with 3 small meals. She could keep the smaller meals down and had something in her stomach throughout the day, which minimized the acid. She got the same amount of food; it was just apportioned over 3 meals. Of course, if you have any concerns about how often you are feeding your dog or they aren’t responding well to the schedule they’re on, talk to your vet. And be sure your dog has access to a fresh bowl of water with their meals and throughout the course of the day. Be aware that pregnant and nursing dogs have different dietary requirements, as do working dogs. They may need to eat more frequently. Or in the case of a working dog, they may need a small AM meal with their larger main meal at the end of their workday. Once you determine the right number of meals for your dog, you’ll want to be sure you are feeding them the right amount of food each day. We’ll talk about that in our next post. How often do you feed your dog? Let us know in the comment section above. And we know how much pet owners enjoy talking about the differences between their cats and dogs. Dogs run down their prey in the wild so they’re built for long distance running. But cats stalk and pounce so they’re built for sprinting. Dogs are easier to teach a command. Cats are difficult if not impossible to train…except when it comes to potty training which they do instinctively. If you’ve ever had a new puppy, you know it’s not so instinctive for them. And don’t make your cat angry because they’ll remember it for 16 hours…but your dog will be licking your face in 5 minutes. Cats have much longer memories than dogs. The behavioral differences could go on and on. But what about the biological differences? Here’s one that you’re probably not aware of. There are around 20 amino acids in an animal’s body. In case you were wondering what amino acids are, they’re the building blocks that make up body-tissue protein. The body is able to make many of them but some you can only get through diet–the ones called essential amino acids. Taurine is an essential amino acid in cats. Interestingly, it’s not an essential amino acid in dogs. Dogs are able to make taurine, so they don’t need to get it from their diet. By now you’re wondering, “Why does my cat need taurine at all?” Well, taurine is really critical to your cat’s health. It’s important for normal vision, digestion, heart muscle function, reproduction, and for a healthy immune system. If your cat is deficient in taurine, there are some pretty serious consequences, the biggest being feline central retinal degeneration (vision impairment) and dilated cardiomyopathy (weakening of the heart muscle). Feline central retinal degeneration usually affects the central portion of the retina. Here’s a photo of a case where the entire retina was affected. The central part of the retina is the area where your cat can see the best. So they would have a hard time seeing stationery objects in front of them with this condition. They usually do still have some peripheral vision though. 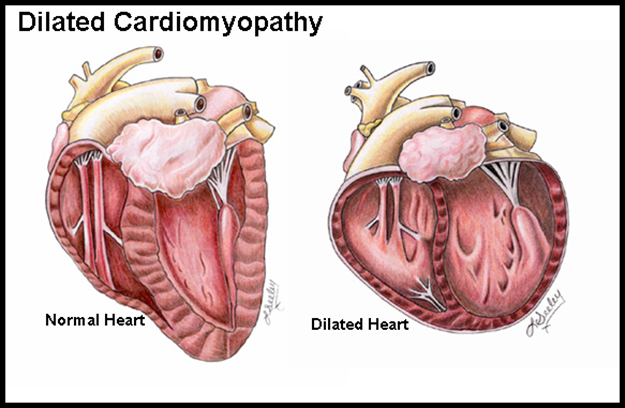 Take a look at the illustration below, which shows the effects of dilated cardiomyopathy. This ailment causes enlarged heart chambers and the walls of the chambers become thin. Thinning of the heart muscle makes it difficult for it to contract. And that makes it difficult to push blood out of the chambers. This overload often leads to congestive heart failure. In the wild, a cat’s diet would give them the taurine they need to avoid these problems. Cats are strict carnivores and taurine is found in animal-protein, specifically in the muscle meat of animals. So in the wild they would get the taurine they need from their animal prey. But cat food is not made solely from animal protein. In fact, dry food often has a fair amount of cereal grains. Grain is needed to make kibble. Cereal grains and other plant-based proteins do not have taurine. And the heat that’s used to make dry food…it reduces the taurine naturally found in animal protein. Luckily, cat food is supplemented with taurine, at least since the 1980s. If you feed your cat dog food–DON’T. Dog food isn’t supplemented with taurine, and it doesn’t provide enough taurine for a cat naturally. It has more plant-based protein than cat food does. What can cause a taurine deficiency in my cat? Do I need to give my cat a taurine supplement? If you feed your cat a food formulated for cats, the answer is no, as long as your cat is eating enough of the food. If you’re feeding a home-cooked diet, you should talk with your vet about taurine deficiency and whether or not you should test your cat’s taurine level. If your vet thinks you should give your cat a supplement, they’ll be able to recommend the right one for your kitty. What if my cat has vision impairment or dilated cardiomyopathy as a result of taurine deficiency? Your vet will suggest a taurine supplement and monitor your cat’s taurine level regularly. Supplementation may be lifelong or temporary, depending on the severity of the deficiency, the cause of the deficiency, and your cat’s ability to maintain taurine levels. Supplementation won’t reverse blindness but it will stop the progression of the degeneration if you catch it early. As for dilated cardiomyopathy, it can usually be reversed, if not fully than at least partially. Husse premium dry cat food is formulated with taurine. And Husse’s dry food contains a lot of poultry and eggs–animal protein that provides all the essential amino acids in the right proportions. Try Husse’s Exclusive Lean or Exclusive Sensitive dry cat foods. If your cat prefers a wet food, try Husse’s Chicken in Jelly or Tuna in Jelly. Not all proteins contain sufficient levels of essential amino acids. The high quality of the protein found in Husse’s food is just as important as the amount of protein in the food. Has your cat experienced a taurine deficiency? Share your insights in our Comment section above. Although taurine is not an essential amino acid in dogs, there are two breeds that are predisposed to a taurine deficiency—the Newfoundland and cocker spaniel. If you have a Newfie or Cocker, talk to your vet about taurine. Three of Husse’s dog foods are formulated with taurine—Optimal Giant, Senior, and Senior Mini. Probiotics…Do Pets Need Them Too? Any health magazine or website you subscribe to these days touts the benefits of probiotics for people. But what about our cats and dogs? If probiotics are beneficial to human health, should we be including them in our pet’s diet? Probiotics are living bacteria similar to the bacteria that are found in the digestive tract. Probiotics are good bacteria that stimulate the growth of beneficial microorganisms. This beneficial gut flora, as it’s called, helps maintain good digestive health. It also prevents an overgrowth of bad bacteria that can affect the immune system. Why would your dog or cat need a probiotic? You may be aware that antibiotics and steroids can cause an imbalance in the gut flora, but you may not know that other factors can upset this balance too. A sudden change in diet, strange eating habits (stool, rocks, sticks), boarding, emotional stress, travel, age and disease can all cause bacterial imbalances. Since these things can occur at any time, giving your pet a probiotic supplement on a regular basis will maintain the bacterial balance needed to keep stools firm and minimize stomach upset, as well as keeping other bad bacteria down. If you’re considering a probiotic supplement for your dog, talk to your vet. There is a lot of variation from one probiotic to the next. The strain of bacteria can vary. Some only contain one strain. Some contain several strains. Enterococcus faecium, Bacillus coagulans, Bifidobacterium animalis, Lactobacillus acidophilus, Lactobacillus rhamnosus are strains that have been shown to have value for pets. Your vet can discuss the benefits of each and help you decide what’s right for your dog or cat. Also be aware that shelf life and proper storage can affect viability of the bacteria. These are living organisms that some times require refrigeration. And like other supplements, not all probiotics are tested for potency or purity. Some dry premium dog foods contain probiotics, which can be an easy way to incorporate probiotics into your pets diet. What are prebiotics and does my pet need those too? Prebiotics are non-living food ingredients that feed the good bacteria in your pets digestive tract helping the good stuff grow and flourish. Prebiotics are specialized types of fiber that are not digested by your dog or cat. They arrive undigested in the intestines enabling them to influence the bacteria population in the gut. Prebiotics such as fructooligosaccharides (FOS) and galacto-oligosaccharides (GOS) are naturally found in many foods that we eat such as asparagus, chicory, artichokes, garlic, onion, bananas, honey, rye, wheat, oats and soybean. But to have any prebiotic effect, your pet would have to consume large quantities of these foods, some of which could be harmful to them. Researchers have found ways to isolate the prebiotics in food, making it possible for pet food manufacturers to include prebiotics in their recipes. Some manufacturers include both prebiotics and probiotics. Some include one or the other. Ideally, you’d want your pet to have both a prebiotic and a probiotic because prebiotics are a food source for the good bacteria found in probiotics. This further enhances the population of good bacteria in your pet’s gut. Prebiotics are not a food source for the bad bacteria that exists in the digestive tract. So using both prebiotics and probiotics improves the overall intestinal bacteria balance. Be aware that prebiotics are not recommended for all pets, particularly pets with Inflammatory Bowel Disease and some other gastrointestinal conditions. Talk with your vet before adding any supplements to your pets diet. If you are considering a dog food that contains prebiotics, try one of the following Husse recipes: Valp, Valp Mini, Valp Maxi, Lax & Ris, Light Optimal, Optimal, Optimal Giant, Prima Plus, Senior, Senior Mini. For cats, try these Husse recipes: Exclusive Lean and Exclusive Sensitive Cat. Do you give your pet a prebiotic or a probiotic? What has your experience been? Share your experience with us in the Comment section above. Is Your Dog Getting the Calcium They Need? I think we’re all guilty of loving our dogs so much that we often think about making them happy before we think about keeping them healthy. Of course we’re not consciously trying to compromise their health. In fact, we’d be horrified if anyone ever suggested this. But, unfortunately, we may unknowingly be doing just that. What could possibly be so detrimental to our dogs’ health? Feeding them a diet that consists mainly of human food…either cooked or raw. Our food is so tasty…and they just don’t seem to get the same joy eating their food…and it’s just so hard to resist those eyes…and dog food makes Fido scratch…and I could go on and on with all the reasons people feed human food to their dogs. We probably all know more pet owners than we can count on both hands that “love their dog too much to feed them dog food.” But that attitude can be detrimental to your dog’s health unless you are fully aware of all their nutritional needs, and are willing to supplement where human food falls short. There are 2 essential minerals that your dog isn’t likely to get in sufficient amounts if their diet consists mainly of human food: calcium and phosphorus. Calcium and phosphorous are two minerals that are essential to a healthy diet. Just like humans, dogs need calcium for strong bones, healthy teeth, blood coagulation, muscle contraction and nerve impulse transmission. Along with calcium, dogs need phosphorus in their diet. It’s also important in bone growth, essential to cell membrane development, and it’s a component of DNA. Phosphorus is also necessary for calcium metabolism. But here’s the tricky part…the balance between calcium and phosphorus is critical. In an effort to give your dog enough calcium in a home cooked diet, it’s easy to give them too much phosphorus. And too much phosphorus is dangerous. Too much of anything in a dog’s diet is dangerous. 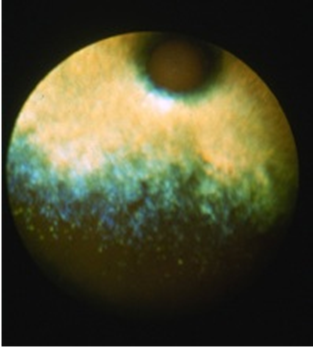 Excess phosphorus can interfere with calcium uptake and can result in renal failure. If you feed your dog a commercially available balanced dog food, your dog will be getting the right balance between calcium and phosphorus. But problems arise when you feed your dog a diet that consists mainly of human food and you aren’t aware of what nutrients are important in what proportions. It’s easy to overdo it with phosphorus because animal proteins are high in phosphorus. The ratio of calcium to phosphorus in your dog’s diet should be about 2 to 1 as you can see from the chart below (www.peteducation.com). Interestingly, many foods that are low in calcium are high in phosphorus and foods that are high in calcium are also high in phosphorus. Here’s the problem in creating a healthy home cooked diet for your dog. Look at these nutrition numbers. Beef has 217 mg of phosphorus and 15 mg of calcium in a 3- ounce serving. Lamb has 162 mg of phosphorus and 14 mg of calcium in a 3- ounce serving. Now if you wanted to up your dog’s calcium by giving them a slice of American cheese along with the beef or lamb, you’d be giving your dog 156 mg of calcium but they would also be getting 145 mg more of phosphorus. If you are trying to maintain a 2:1 ratio of calcium to phosphorus, it’s likely you’ll have to add a calcium supplement to a diet that consists mainly of human food in order to just increase calcium without increasing phosphorus. If you really feel strongly about giving your pooch a mostly home cooked diet, consider a diet that consists of ¾ commercial food, ¼ fresh food. This balance will generally give your dog the nutrients necessary to stay healthy. But you can feel confident that if you choose to feed your dog a nutritionally balanced premium dog food without fresh food, you are doing the right thing for your beloved pet. Eliminate the worry over whether or not your dog is getting what they need from their food. Tooth extractions and broken bones are the last thing any one wants to see their dog go through. If you are a customer of Husse you know you can trust that Husse Premium Dog Food is nutritionally balanced for all your dog’s health needs. If you haven’t tried Husse yet, consider Optimal, Optimal Giant, Optimal Mini, Prima Plus, Senior, Valp or Valp Maxi which all contain the appropriate balance between calcium and phosphorus for optimum health. Do you feed your dog a home cooked diet? Have you had any difficulties maintaining the right balance between calcium and phosphorus? We’d like to hear what your experience has been. Leave a Comment above.